Next Future Transportation co-founders are husband and wife, Guy and Maki Kaplinsky. Together they have assembled a diverse team, headquartered in Mountain View, CA with a center of excellence in Israel. The team is currently developing a multi-modal electric zero emission and advance hybrid system eVTOL capable of piloted or autonomous flight. 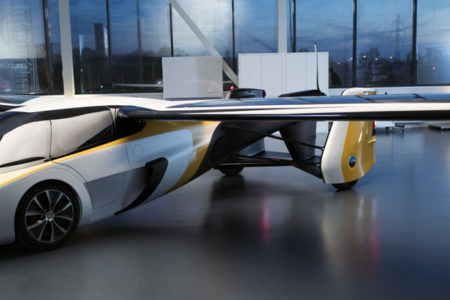 The passenger flying car, with two or four seats, can carry passengers directly from their starting point to their destination (door-to-door). Co-founders Guy Kaplinsky (left) and Maki Kaplinsky (right). Additionally, the vehicle is designed to be powered by electric propulsion and an advance extended system, making it agile and adapted for cities. 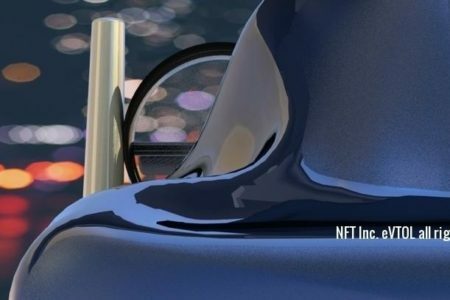 According to the founders, the NFT eVTOL drives like a comfortable, compact family car and can be easily parked on the street or in a garage, not requiring a sky port or other specialized accommodation. The target drive range is 62 miles | 100km and target fly range is 310 miles | 500km. Other key technologies include an Artificial Intelligence System, EV road driving system, and Blockchain platform. NFT has a two-pronged approach to the possible applications of the company’s prototype vehicle. First is Guy and Maki Kaplinsky’s vision for an affordable, door-to-door solution to one’s everyday commute that minimizes wasted time spent in city traffic. To achieve this, NFT targets a sale price of $50,000 in order for the vehicle to be “accessible for regular people” as opposed to “a toy for rich guys”. 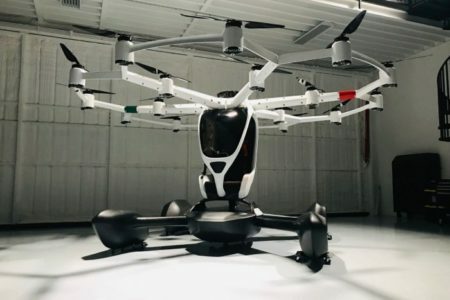 As for the timeline of NFT’s eVTOL reaching the market, the company first plans to roll out the drive-and-fly vehicle as a cargo transporter, then for human transportation by 2025. 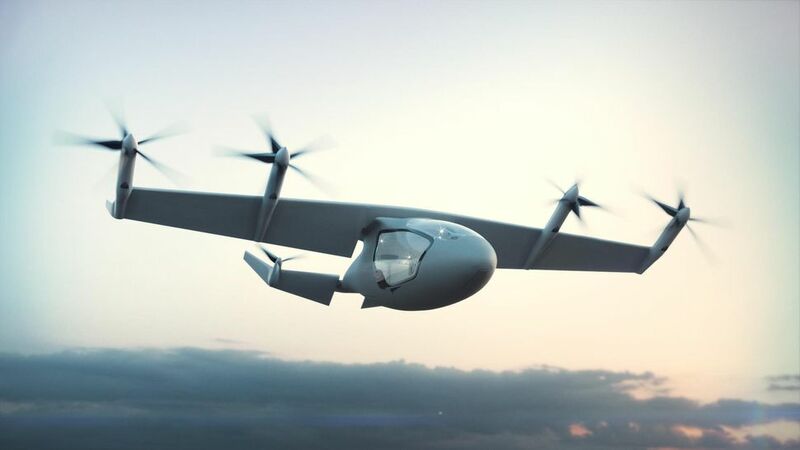 The second application of the NFT all-electric prototype is said to be “on-demand aviation” – a network of VTOL craft that would make it possible for users to summon flying transport whenever they’d like to easily mobilize within and between cities. Guy Kaplinsky articulates NFT’s competitive edge to be the need for only one vehicle during the commute – one would simply hail a vehicle and it would transport them from point to point without the need for another car or intermediary transit method. Why it’s important: Next Future Transportation Inc. represents the increasing competition in the urban aviation industry, specifically those concentrated in Silicon Valley, CA. The company is currently ranked 281 on CrunchBase, with $5M in confirmed seed funding. The company’s international sprawl also demonstrates the worldwide scale at which the industry continues to grow. The construction of Western Sydney Airport (WSA) began on September 24, 2018. 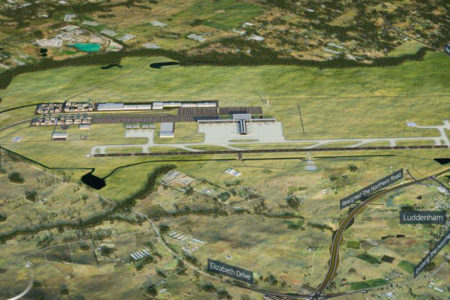 The project in Badgerys Creek, Australia will be designed with 21st-century thinking in mind and will be completed by 2026. It shall have infrastructure to support various modes of transportation to get to and from the airport, with ride-sharing services as a primary option. Further, Western Sydney Airport will be constructed on a 1800-hectare plot of land, allowing for plenty of space for disruptive technologies, such as urban air mobility aircraft flights. 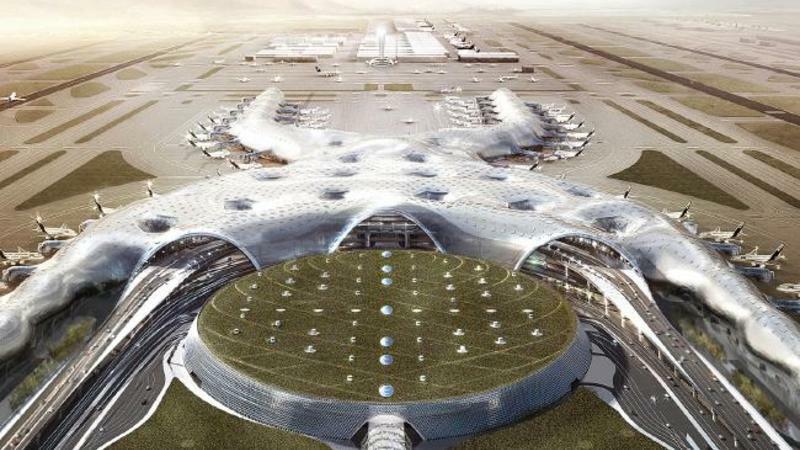 WSA Chief Executive Officer Graham Millet is a strong advocate for the airport as a testbed for passenger and freight drones, as demonstrated by integrating this forethought into the planning of the new airport. While the Australian city in which Uber Air’s aerial ride-sharing network will be stood up has not yet been determined, Western Sydney Airport has now made a case for Sydney as the host city. Uber has articulated that the ideal cities are those with high population density and heavy traffic, particularly to a big airport. Similar to Singapore’s word-class Changi Airport, Millet aims for WSA to be a destination not just for travelers. It will host art exhibitions, gymnasiums, shops, and other attractions, all while keeping operational costs low and ground transport traffic as light as possible. Millet has also already reached out to Uber in hope to ignite discussions between the two regarding drone operations in Australia. 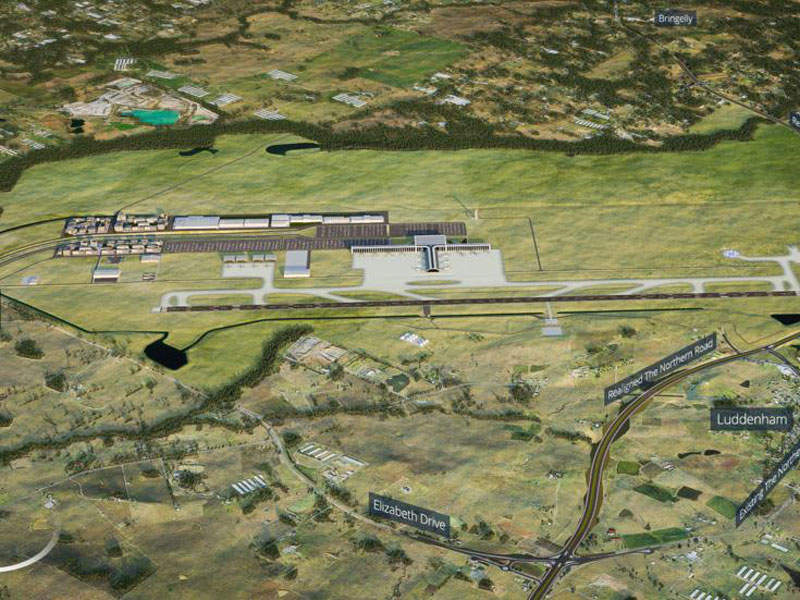 The Australian federal government is allocating approximately $5.3 billion to the Western Sydney Airport, and it is possible that a portion of the budget can be seen going toward sky ports. This is the first outspoken plan for an airport to plan a preemptive integration of drone air mobility operations and could subsequently jumpstart future worldwide efforts. Why its important: Western Sydney Airport sets a precedent as the first airport to plan for infrastructure to support passenger and freight drones – such as Uber Elevate sky ports – in an attempt to alleviate ground transport and jumpstart air mobility operations in Australia. Kitty Hawk Aero announced their 2018 recap today, marking the conclusion of a packed year for the Larry Page-backed company. Included in the recap was the announcement that Cora has a Ballistic Parachute Recovery system, not unlike what Cirrus Aircraft use today to achieve their high safety records. Kitty Hawk has not previously disclosed that Cora has such a recovery system in place. 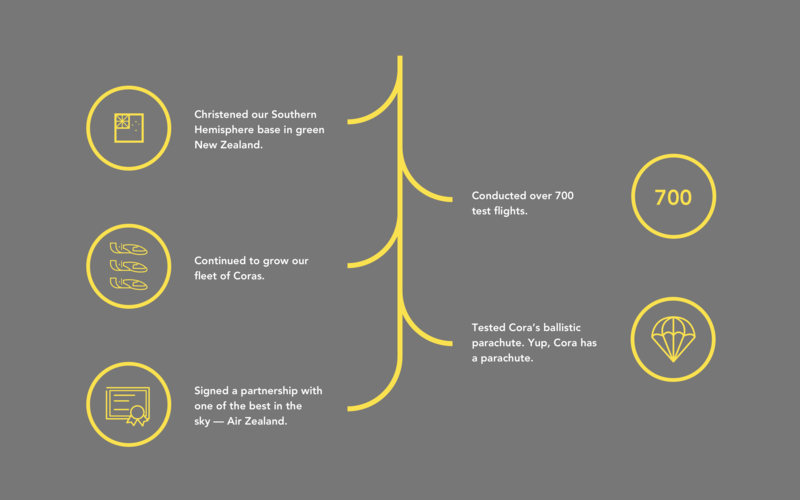 Additionally, the recap included some concrete numbers for Kitty Hawk’s accomplishments over the last year: more than 700 test flights conducted, with at least five Cora’s built (shown in their recap video) and one partnership signed with Air New Zealand. 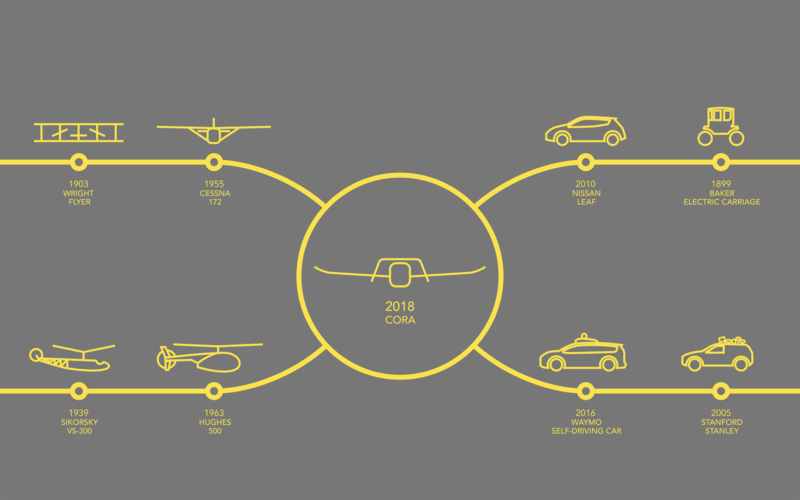 One of the main points that Kitty Hawk emphasized as part of their recap was that Cora was situated between the confluence of rotor, fixed-wing, and autonomous car disciplines. The Kitty Hawk Cora eVTOL is powered by 12 rotors that are oriented vertically and mounted to the wings of the aircraft. One pusher-configured propellor provides for forward thrust during conventional flight. The estimated cruising speed of Cora is approximately 180 km/h, and a “triple redundant flight computer” system allows for safety of flight path control, even in the case that one or two computer systems malfunction. Kitty Hawk’s recap video is here. 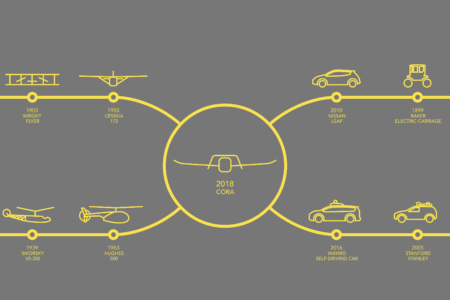 To learn more about the Kitty Hawk Cora, visit The Hangar – the one page market overview of the urban aviation industry. Why it’s important: Kitty Hawk’s year-in-review for 2018 contained a fair amount of information that was already known to the public, but a few announcements – such as the number of flight tests conducted, and the mention that the aircraft has a ballistic parachute recovery system – have not been shared before. With the quantity of flight testing complete and the quality of experience of the many team members of Kitty Hawk working on this product, expect 2019 to be full of continued certification and flight testing efforts. The Lindbergh Foundation, created in 1977 by Charles Lindbergh, General James Doolittle, Sir Edmund Hillary, and other friends of Charles and Anne Morrow Lindbergh, is continuing to provoke discussions on the future of flight and the innovations of the next 20 years of aerospace. The Foundation hosted a 2018 Lindbergh Innovation Form at EAA AirVenture which brought leaders from across specialities in aerospace to discuss the most important trends of the industry, and where the biggest changes were to come to fruition. Building on the success of the 2018 iteration, the Lindbergh Foundation is hosting another Lindbergh Innovation forum on January 9th, 2019 at the AIAA SciTech Form in San Diego, CA. The Lindbergh Innovation Forum will host attendees from Boeing, NASA, Aerion Supersonic, AirMap, GoFly and Ampaire. 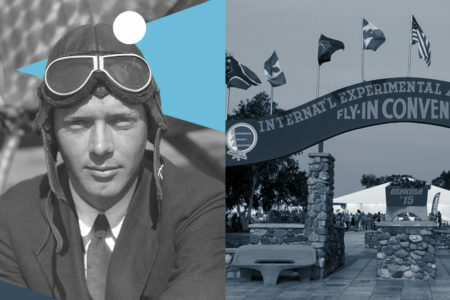 Erik Lindbergh, President of VerdeGo Aero and grandson of Charles Lindbergh, will host the event. 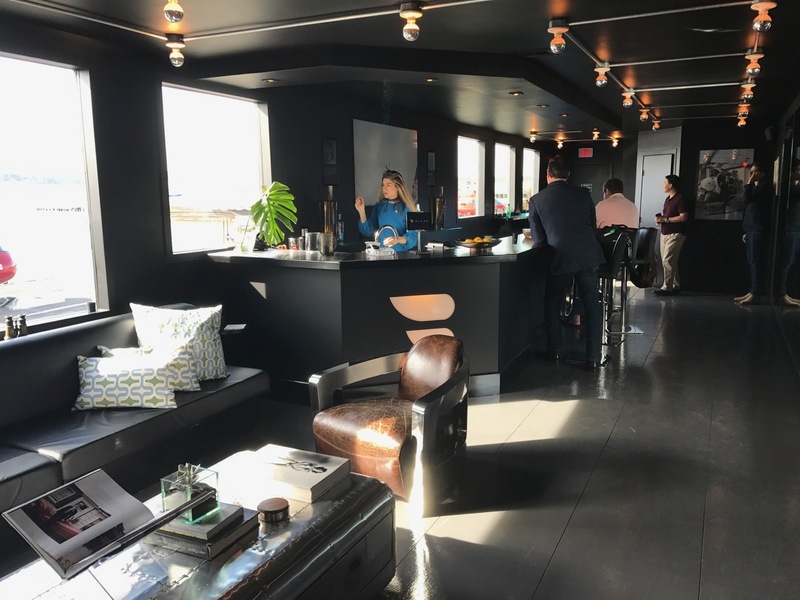 Some topics of the event will include unmanned air traffic management, the path to high performance electric aircraft, personal flying devices, and more. Kevin Noertker; Co-Founder and CEO; Ampaire, Inc.
AeroMobil has taken the next step in the certification of their AeroMobil 4.0 Flying Car by applying for a Type Certificate with the European Aviation Safety Agency (EASA). In 2019, AeroMobil will also seek to show compliance with the European Vehicle Certification Authority, proving both air and road-worthiness for the 4.0 Short Takeoff and Landing Flying Car. 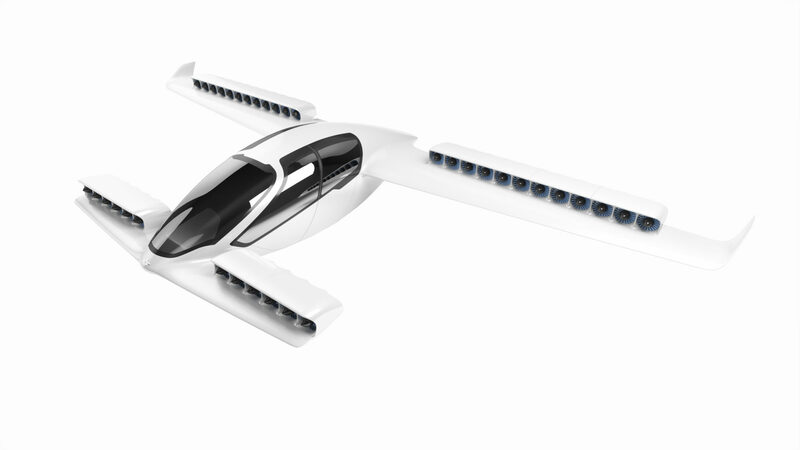 The AeroMobil 4.0 will be certified as a non-complex airplane with a takeoff weight of less than 1200kg, according to AeroMobil’s press release. AeroMobil is taking an incremental approach to the flying car industry, first directing their focus toward fixed-wing aircraft that are also road worthy. 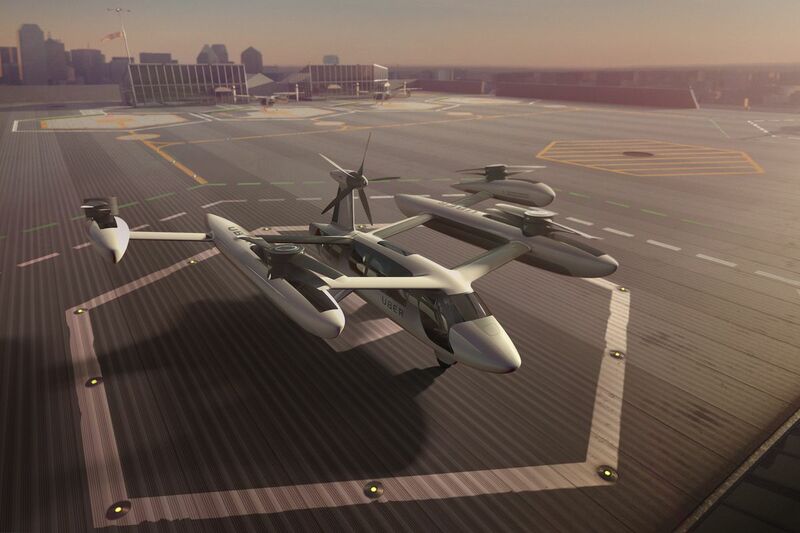 The next step for the company will be VTOL-capable aircraft, like the AeroMobil 5.0. Why it’s important: The formal application for a type certificate with EASA indicates the confidence that AeroMobil has in their products, and also that the company is ready to work with European regulators to certify a safe, efficient, and practical vehicle. Follow the certification process of the 4.0 STOL closely in 2019, as AeroMobil should serve as a relevant barometer for the relationship between EASA and urban aviation companies. The 2019 Detroit Auto Show, also known as the North American International Auto Show, provides a global stage for companies on the cutting edge of industry-shaping technology to debut brand-defining vehicles. It is one of the largest auto shows in the United States. The Workhorse Group tweeted on Tuesday December 18 to “get ready, Michigan because we’re bringing the #SureFly to ⁦@NAIASDetroit⁩ January 14th-17th!” On those dates, the Automobili-D show will gather over 200 companies showcasing innovations on topics such as urban mobility, smart cities, building a mobility workforce, and autonomous technologies. From the NAIAS website, “Detroit is where future mobility innovations meet the pavement” – or in Surefly’s case, the skies. Surefly’s 4 arms and 8 contra rotating props allow maximum airflow and lift, achieving a top speed of 80 miles per hour. Given the Group’s strong rising presence in the automotive industry with the N-GEN and E-100 Vans, and W-15 Pickup, it is no surprise to see the team exhibiting their technology at the Detroit Auto Show in January of 2019. 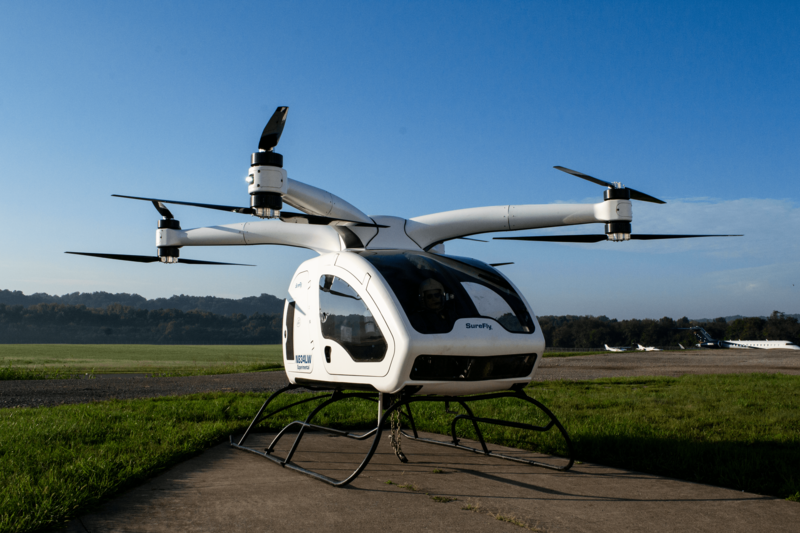 The Workhorse Group’s two-seat hybrid eVTOL octocopter is designed to be capable of passenger and cargo transit, as well as other applications such as first/emergency responders, military, agriculture, and more. Safety is a top priority for Workhorse. Surefly is designed with a fully redundant system, a battery backup system that allows for 10 minutes of extended flight time, and a ballistic parachute located in the center of the arms for emergency landings. To learn more about the specifications and features of the Workhorse Surefly, have a look at our Surefly Vehicle Page. Why it’s important: This is an opportunity for Workhorse to showcase the Surefly’s technology and capability on a global stage. There is great potential to raise public awareness of the Urban Aviation industry and even increase consumer reservations for the Surefly. 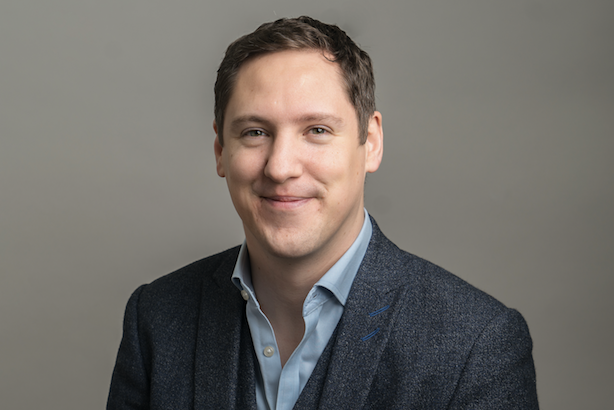 German air taxi company Lilium has added to its team former head of communications at Rolls-Royce Aerospace Oliver Walker-Jones. The team now includes former high-ranking executives from Airbus and Audi, as well as Frank Stephenson, who worked in design at Ferrari, BMW, and MINI. At Rolls-Royce Aerospace, Walker-Jones’ role included acting on the outward-facing aspect of the company as well as internal communications. At Lilium, he will be responsible for much the same thing, but will also focus on helping the business grow globally. This suggests that Lilium has plans to go global rather than just staying local to Germany. As a reminder, The Lilium Jet is unique in that it is one of the few eVTOLs propelled by jets. The design features two fixed-wings with a total of thirty-six small ducted jet-fans that can tilt between vertical and horizontal flight, giving the Lilium jet one of the sleekest aesthetics on the market. Lilium will soon face the challenge of launching air taxi services globally with a planned launch of 2025. 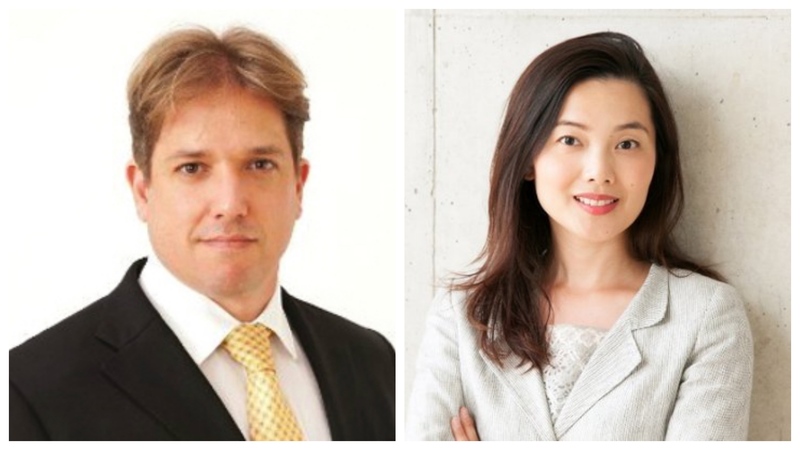 Why its important: Prior to the hiring of Walker-Jones, Lilium has also recently hired Mirko Reuter, former Head of Automated Driving at Audi, Jakob Waeschenbach, former Head of Equipment Installation at Airbus, and Frank Stephenson, who worked in design at Ferrari, BMW, and MINI. . With these new hires, Lilium shows that it’s serious about taking on the future of on-demand eVTOL flight, and with so many experienced professionals on board, it has continued to position itself well to lead the industry. A landing pad for the VRCO NeoXcraft is being built in the garden of a $12.5 million home in the UK. VRCO has released a set of images showing the planned landing area, which comes with a renewable energy recharging system for the two-seater aircraft. VRCO is based in Derby, UK, and has been developing the NEOXCraft since its founding in 2015. The NeoXCraft is one of the top aircraft soon to enter the UK eVTOL market with a planned first flight in 2019 and an intended certification date of 2020. VRCO has recently made large strides in their development process by partnering with property developer Guy Phoenix to develop a landing pad for a new home in the village of Edwalton. The landing pad is six meters in diameter, and will reach completion in April. Key to the landing pad is an integrated solar and wind system to recharge the vehicle, and an ‘etched data store code’ which will allow the aircraft to land autonomously. Real estate developer Guy Phoenix is considering purchasing a VRCO NeoXCraft to to offer as part of the sale of the Nottingham home. A mockup of the aircraft will be at the house’s launch event this spring. The addition of the landing pad to this house represents the beginning of a major shift in how real estate will work with flying cars. 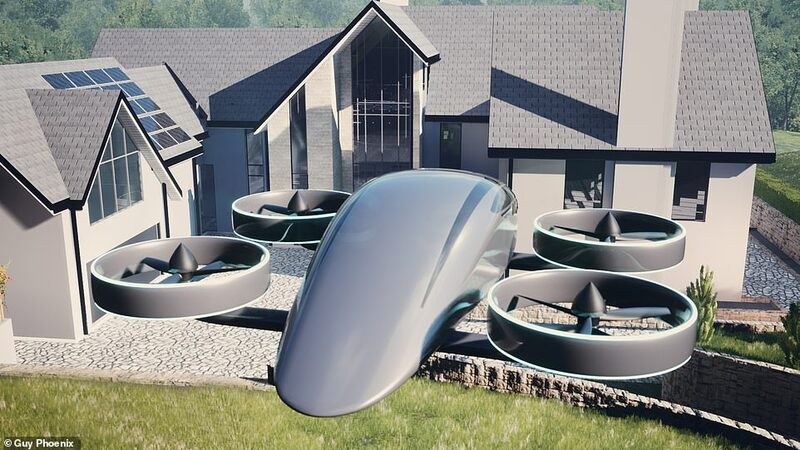 By eVTOL, the home is only 30 minutes from London, while normally a 2.5 hour drive. 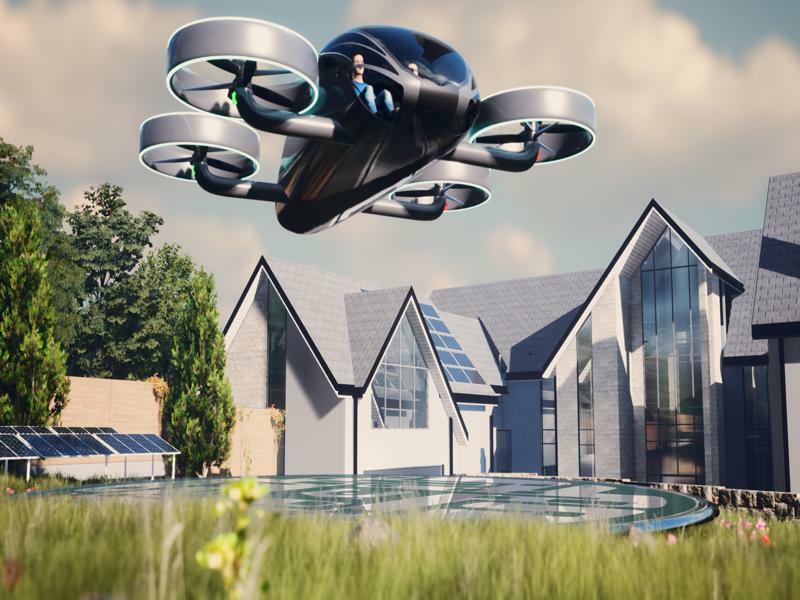 Many experts in the industry have predicted that the existence of eVTOL services will eventually raise the appeal of living further away from major cities, as they will allow people to live in less populate areas and still commute to work in cities quickly. To learn more about the specifications and features of the VRCO NeoXCraft, have a look our NeoXCraft Vehicle Page. Why its important: This home in Nottingham is one of the first in the world to build a private landing pad for an eVTOL. 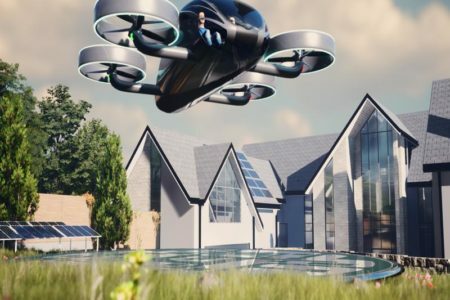 With VRCO’s expected certification date in 2020, the occupant of this home could be one of the first in the world to own and actively use a private eVTOL. Along with Uber Elevate, BLADE is planning on entering the Indian air taxi market. 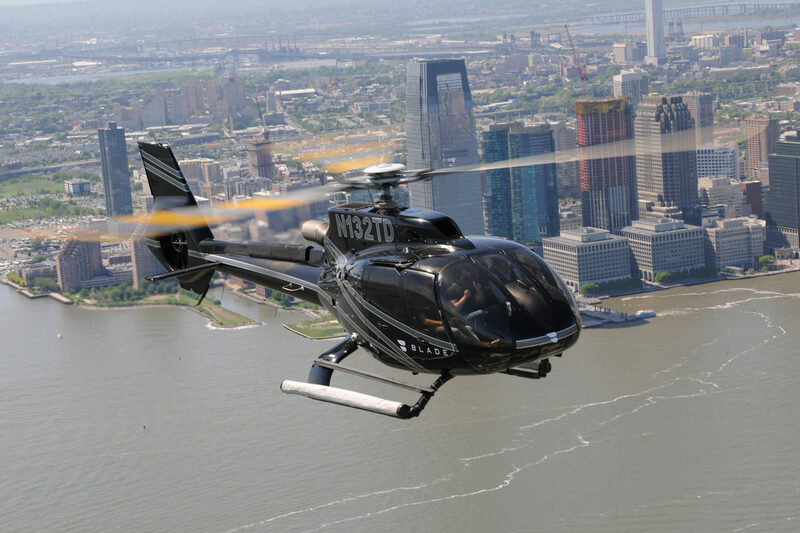 Blade has already garnered an impressive amount of its success with its helicopter air taxi services in the US, offering on-demand flights in Los Angeles, Miami, New York, and more. 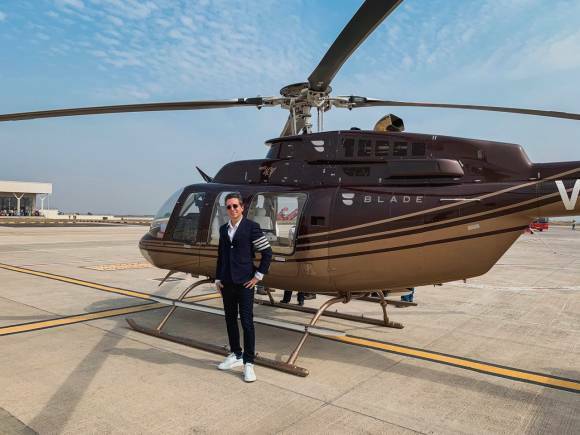 With the new extension to Mumbai (planned launch in March), Blade CEO Rob Wiesthenthal believes a single air taxi route in India may have the potential to financially outperform Blade’s U.S operations. Blade has repeatedly expressed interest in developing eVTOL services in the future, claiming that part of the intent of its India extension is to build the foundation for those services. 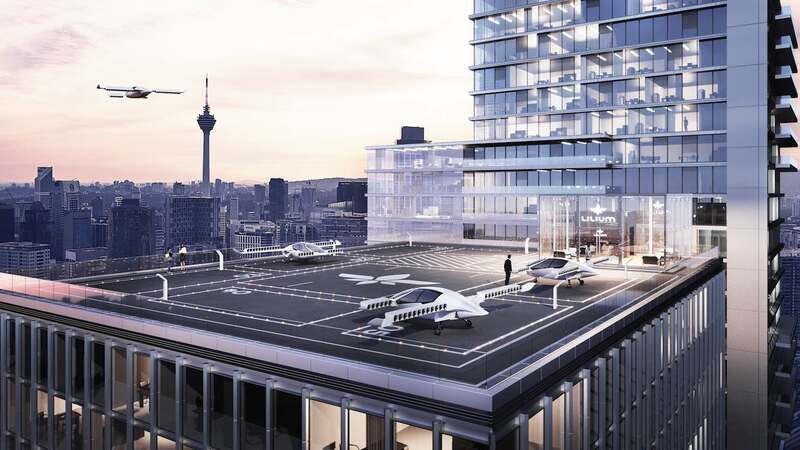 The company recently raised $38 million from Airbus and investing firm Colony Northstar, part of which Blade plans to use to build air taxi landing pads in major cities for the future of on-demand urban aviation. Blade follows an asset-light model by not owning any of its own helicopters, positioning it well as a potential future eVTOL operator. In India, Blade is collaborating with local venture capital firm Hunch Ventures to create the new company ‘Blade India’. With this effort it joins Uber Elevate, which has named India as one of its five future international launch locations, and independent companies like eVTOL Aviation India. 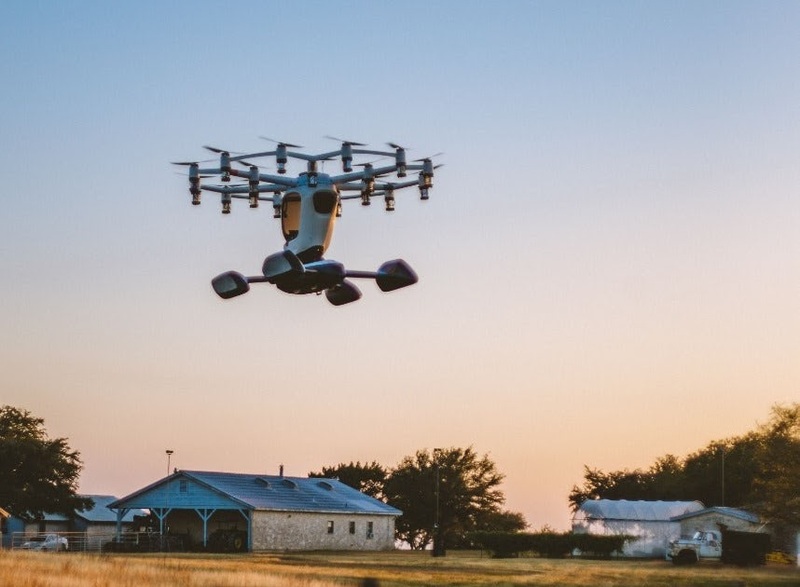 Countries like India, Brazil, Mexico, Columbia and Japan are also being considered by other eVTOL developers owing to the ground traffic congestion problem in many of these countries. Why its important: With its extension to India, BLADE appears to be further readying itself for the future or Urban air taxis. 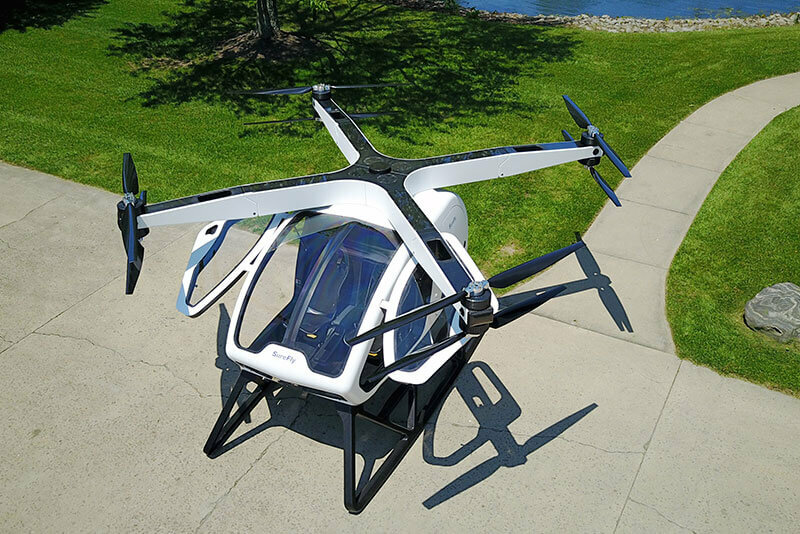 Blade is one of the most well positioned-companies to launch eVTOL air taxi services in the near future due to its experience an innovations in helicopter services. Blade is among other companies eyeing India for eVTOL air taxis along with Uber Elevate and eVTOL Aviation India. San Luis Obispo, CA – based Empirical Systems Aerospace (ESAero for short) is partnering with NASA to create an all-electric X-57 “Maxwell” technology demonstrator aircraft. 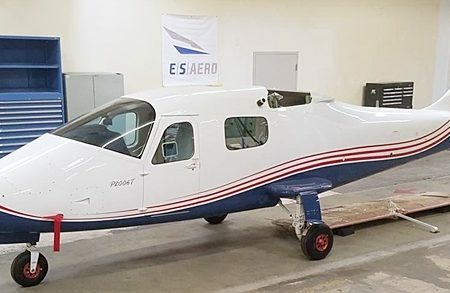 The Central Coast engineering firm specializes in “on-demand engineering” and ultimately plans to retrofit a Tecnam P2006T general aviation aircraft to demonstrate their technological advances in electric propulsion. The Tecnam P2006T is a popular light twin-engine aircraft, used commonly for multi-engine flight training. ESAero’s planned timeline for incorporating design advances to the X-57 began with receiving the aircraft in 2017, followed by Mod II Flight Testing at NASA’s Armstrong Research Center during 2018. The team plans on demonstrating that their concept will save five times the energy of a comparable aircraft during cruise profile. The fuselage contains 800 lbs of batteries to power the two main electric motors mounted on the wings for cruise flight. To facilitate vertical takeoff and landing, the aircraft is outfitted with an additional 12 electric motors dispersed across the wings. Why it’s important: Empirical Systems Aerospace is applying a plug-and-play approach to the electrification of aviation by combining a proven airframe with electric propulsors. The company is adopting a dispersed propulsion approach, similar to other firms such as Verdego Aero, to maximize their efficiency gains during flight. ESAero’s contract with NASA has most likely also caught the eye of Uber, as the ride-sharing company is engaged in an ongoing developmental relationship with NASA as well. 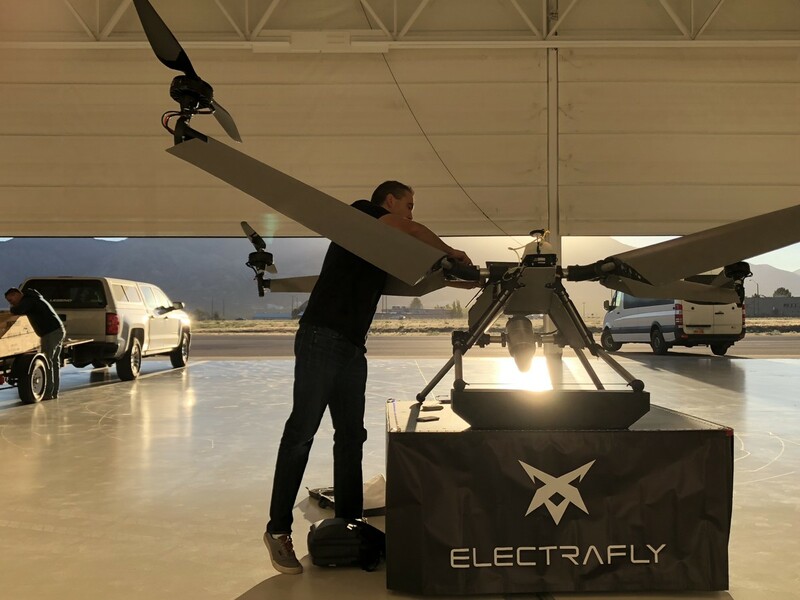 Electrafly, a self-funded aviation startup based in Utah, has announced plans to partner with Utah’s very own dedicated unmanned aircraft system test sight operator Deseret. Set to begin in 2019, flights over the FAA-sanctioned test area will work all the way up to forward flight of a single passenger. The aircraft, dubbed the Electraflyer, is a hybrid electric multi-copter, meaning it features the combination of a gas powered turbine and several electrically driven propellers. All-together the distributed propulsion system produces enough thrust to carry the 75 lb. airframe and a single person. The electrafly prototype, with its four winged propeller arms, combines the best qualities of fixed wing and multicopter aircraft. Deseret Unmanned Aerial Systems (UAS) is a company dedicated to the advancement of drone related technology under development in Utah. Furthermore, it intends to attract new businesses to its home state. Tulinda Larsen, executive director of Deseret UAS believes “the biggest untapped resource in the U.S. and the world is our airspace”. Deseret currently has access to a smaller test facility, called the Xperience Center, and is working to secure larger FAA approved test sights throughout Utah. ElectraFly’s founder and director of development John Manning is optimistic about the partnership with Deseret. “The work that Deseret UAS is doing is really a miracle for us in terms of how the timing is working out,” Manning said. 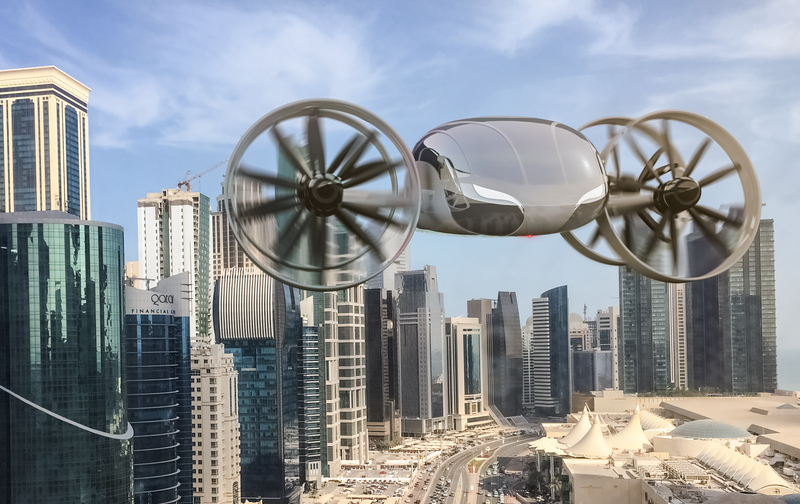 “Having designated flight areas where FAA exemptions are in place is critical to us and the industry to making continued research progress.” Consistent effort is critical to new entrants in the rapidly growing urban air mobility market. 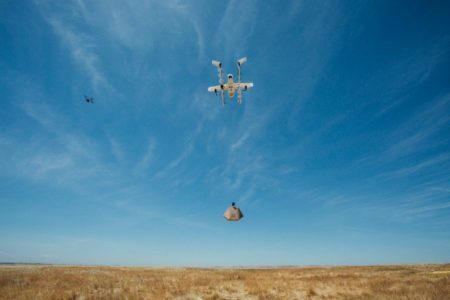 In addition to the manned test flights with Deseret, Electrafly will pursue an initial application of its technology in unmanned package delivery. Electrafly founder John Manning joins the wings to the center section of the prototype Electraflyer aircraft. 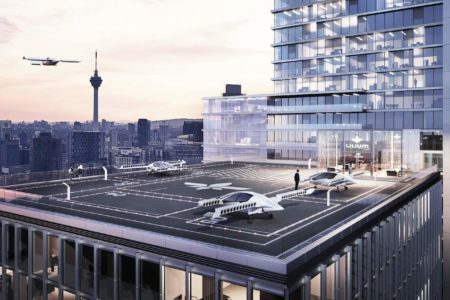 Why it’s Important: Test flights in designated areas will prove key in traversing the difficult regulatory landscaping that opposes urban air mobility startups. This partnership between Electrafly and Deseret UAS sets an example for how similar companies across the globe can prove their technology is safe and ready to launch. Bell has added yet another partner to the growing list that will be developing its Air Taxi. Moog’s role will be to design the Flight Control Actuation System. As a reminder, Bell has yet to unveil the full version of its Air Taxi. For now, it has shown mockups of the planned interior of the aircraft, which was featured with an immersive VR experience at both CES and South by Southwest earlier this year. Bell has commented that it has not yet unveiled the full aircraft design because it would like to keep its propulsion system design private. 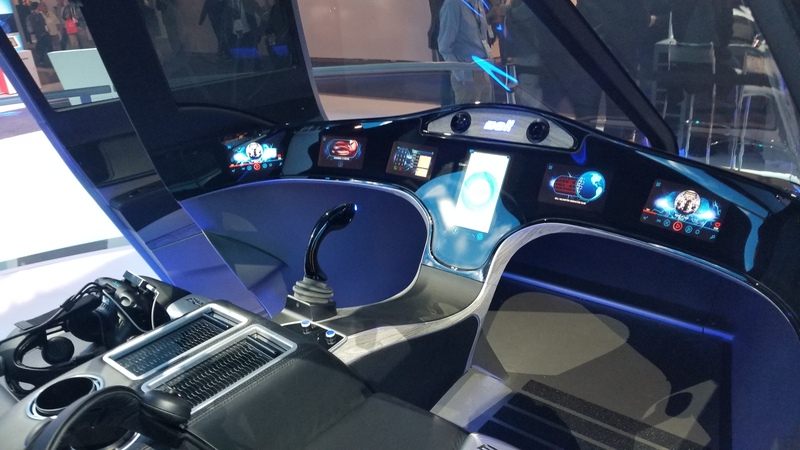 Bell’s Air Taxi interior is impressive, utilizing augmented reality as well as a control panel made up nearly entirely of screens. Moog, the latest partner to Bell in addition to Safran, Garmin, EPS, and Thales, is an expert aircraft designer and supplier. For over 50 years, Moog Aircraft has provided many kinds of motion control technology ranging in use from commercial aircraft to power-generation turbines and even Formula One racing. 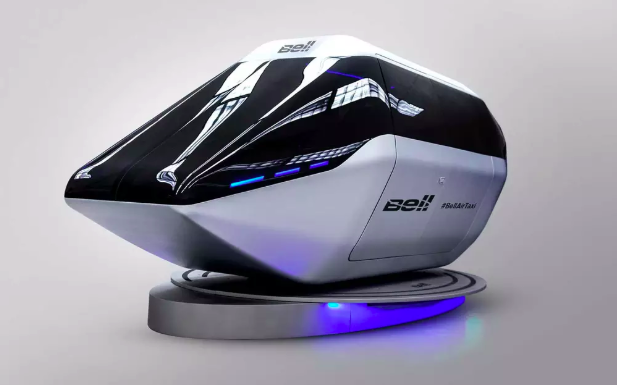 While Bell will be responsible for the design, development and production of the VTOL systems, Moog will include providing the all-electric, fly-by-wire actuators and electronics used to direct and control the aircraft’s propulsion system and aero-surfaces. Why its important: With the addition of Moog to its team, Bell has brought the number of partners on its air taxi project up to five. Also included are Thales for flight controls, Garmin for avionics, Safran for hybrid propulsion, and EPS for energy storage. Moog’s long-time expertise will help Bell develop flight technologies that meet cost, performance, weight, and reliability requirements for on-demand urban aviation. Alphabet, the holding company in charge of Google Inc. and other similar initiatives announced a status update for their Wing project last week. 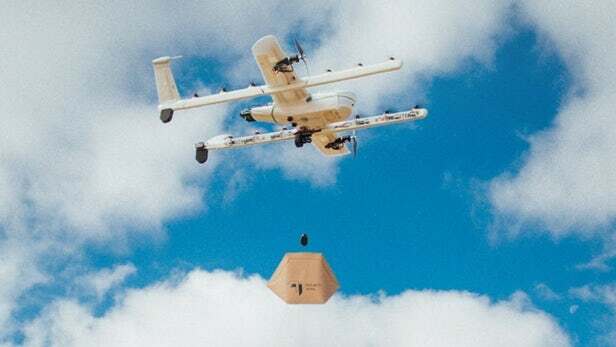 On Wing’s website, plans were unveiled to perform trial runs for the drone-based package delivery service in Finland beginning in 2019. This project will be a follow-on to a trial that has been on-going in south-eastern Australia for the past 18-months. Project Wing, a drone-based package delivery service, will begin a trial run in Finland in 2019. The Wing aircraft, funded originally as an Alphabet Moonshot Factory X-project, is a small electric vertical takeoff and landing (eVTOL) aircraft capable of delivery packages up to 3.3 lbs a distance of about 6.2 miles. The aircraft features combines vertical lift from two sources: a distributed array of upward-facing propellers and a small wing. Two dedicated forward-facing motors provide thrust to enable forward motion through the air. 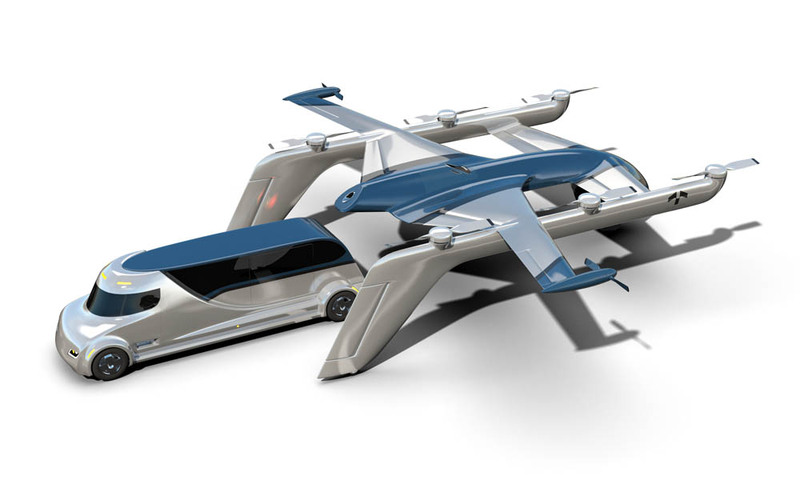 The design architecture is similar to several larger air taxi-sized eVTOL aircraft, most notably Rolls Royce’s urban air mobility concept. 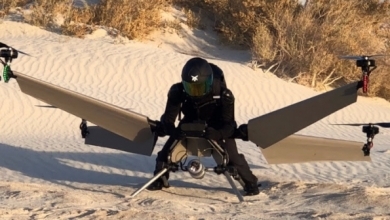 While the Wing is unmanned, success with trials in Finland and Australia may improve regulatory confidence in this type of aircraft, shortening the path toward commercial readiness across the eVTOL industry. Packages will be delivered for free during the trial run, until Wing is ready for commercial availability. This project is just another way in which Finland has demonstrated their commitment to fostering improvement in the aviation industry. A similar trial-run in place in Finland is the Helsinki Electric Airplane Association’s test run of an all-electric aircraft. Fortum aviation, who entered the project with aircraft the Pipistrel Alpha Electro, believes “electrification of transportation is one of the most effective ways to reduce carbon dioxide emissions”, which has been a major goal of Finnish economic policy in the 21st century. 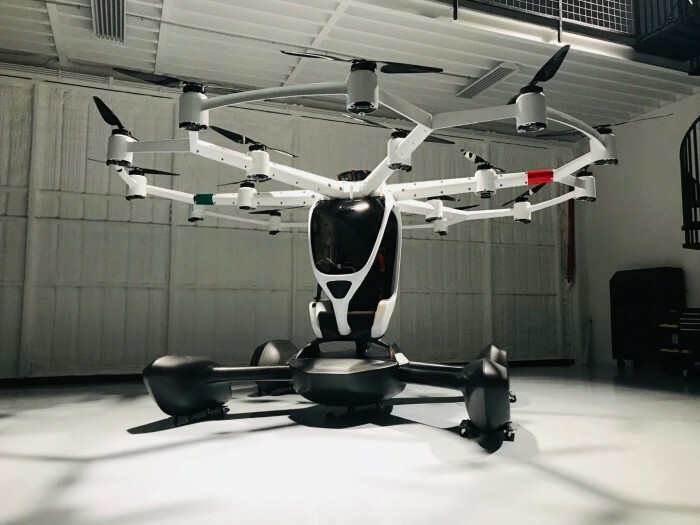 Why it’s Important: Unmanned electric vertical takeoff and landing (eVTOL) platforms like Alphabet’s Wing are expanding trial runs to more regions of the world, putting the global airspace to the test. 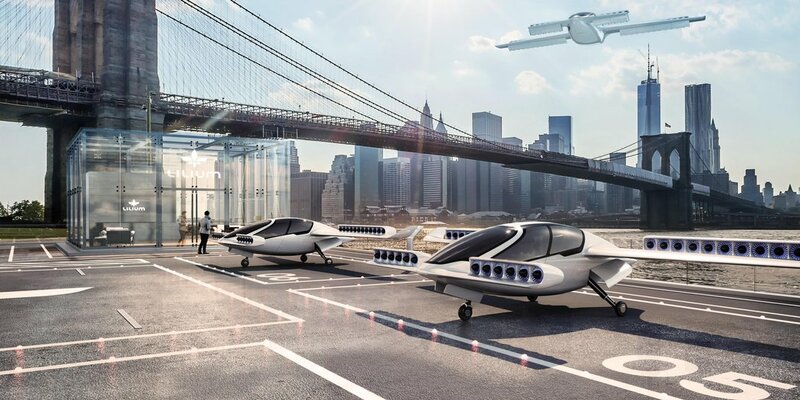 This will pave the way for the safe, and properly regulated introduction air taxis and urban air mobility. 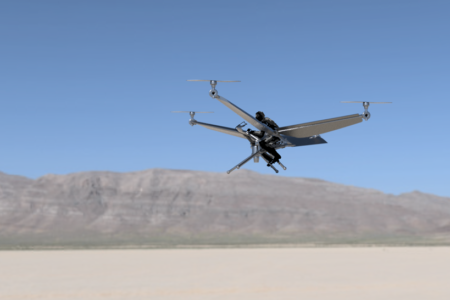 Lift Aircraft, based in Austin, TX, has unveiled a flying production-design of its Hexa aircraft concept. The electric vertical take off and landing eVTOL flying machine, shown below, features impressive simplicity and redundancy that will enable personal use by tourists and amateur enthusiasts. Designed for 8-15 minute flights in scenic and uncongested areas, the aircraft relies on 18 propellers to get its 432 lb carbon fiber airframe off the ground. Floats mounted underneath the seat allow the Hexa to land on water, unlocking a unique amphibious capability during operation. Safety measures, including an automatic ballistic parachute for emergencies and a semi-autonomous flight control system, make the personal flying machine especially attractive to the everyday user. All that is required of the pilot is interaction with a single 3-axis joystick and the seven-inch touchscreen interface. Classified under the FAA’s ultralight category, the Hexa will be available to the everyday user. Lift plans to certify the aircraft under the FAA’s ultralight category, meaning users will not be required to have a pilot’s license in order to fly it. This limit’s the aircraft to an altitude of a few hundred feet, which Lift thinks is plenty to serve its core purpose: thrilling recreational flight. Why it’s Important: Multi-seat eVTOL air taxis require complicated regulatory approval and advanced battery technology. Simple and easy single-pilot aircraft like Hexa don’t have to wait for these issues to be worked out, and may be the first commercially viable eVTOL flying machines to market. 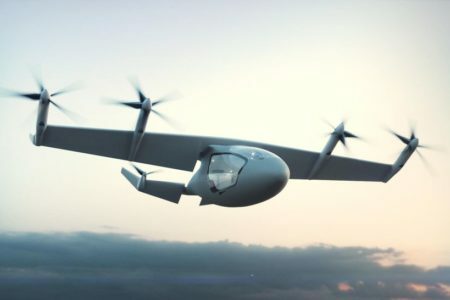 British aerospace giant Rolls Royce’s electric vertical take off and landing (eVTOL) concepts. One of many futuristic flying taxi aircraft currently under development in Europe. These talks are part of promising cooperation between European regulatory officials and the urban air mobility industry. One attendee of the talks, German Federal State Minister for Digitisation Dorothee Bär, affirmed regulatory intentions by stating, “I think there is tremendous potential for Europe and beyond, urban air mobility will become part of our daily life”. Terrafugia TF-2 air vehicle concept. Terrafugia was one of several companies represented in the talks. 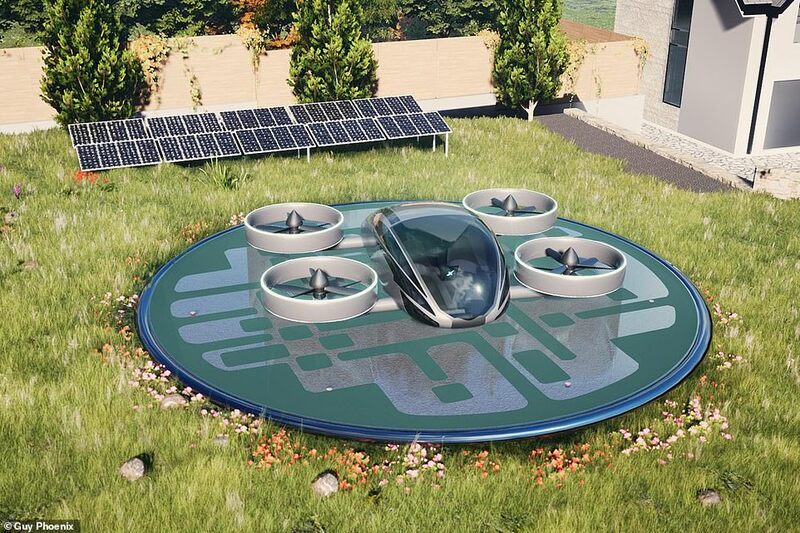 Why it’s Important: As new urban air mobility/flying taxi concepts become commercially available, regulatory agencies like the Federal Aviation Administration (FAA) and European Aviation Safety Agency (EASA) will need to manage regulatory policy to ensure safe operation within the existing airspace. Talks like this one are crucial to enforce collaboration between all stakeholders involved.